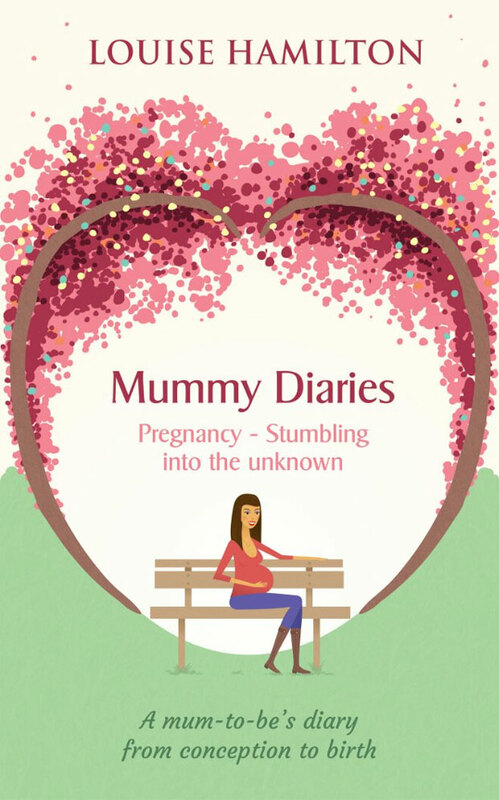 Even though my baby has been keeping me very busy over the past couple of weeks, I have managed to squeeze in some reading time and have enjoyed reading Mummy Diaries: Pregnancy – Stumbling into the unknown by Louise Hamilton. The book is in three parts: the first part is Louise’s own pregnancy journal, including her labour story. She writes in diary form and tells you all about her life: family, friends, relationships and pregnancy. It feels like you are reading letters from an old friend who lives far away; now a pen pal. I really like that kind or writing for a book like this one. The diary entries are personal, sometimes a bit sad and often funny, showing all sides of Louise’s pregnancy experience. I love reading about other women’s experience of pregnancy and childbirth. It was pretty much all I read when I was pregnant (along with some more medical books, too). I find it really interesting to see how other women deal with it all because these experiences can be so different. Every woman is unique! Our stories are very different. I think if I were to write down my story it would be a very short one. The fact that our pregnancies and births were so different made the book even more interesting and fun for me to read. The second part of the book is quite a few chapters with stories from Louise’s friends and family — stories of their experience of becoming mothers, highlighting the fact that we are all different. I think this addition is a great idea! The last part of the book contains pregnancy health information and tips for surviving all common symptoms and what to pack in your hospital bags and much more. Another great addition that makes this book very useful as well as entertaining for mums-to-be. I really enjoyed this book and think it’s a very good book for pregnant ladies/new mums. It’s available on Kindle for only a few pounds and makes a great companion for sleepless nights or late night feeds. Louise’s second book about the first year with her daughter will be out soon and third book about the following years is coming, too! I can’t wait to read more! I was sent this book for free for review. All my reviews are 100% honest and all opinions and thoughts are my own, as always.